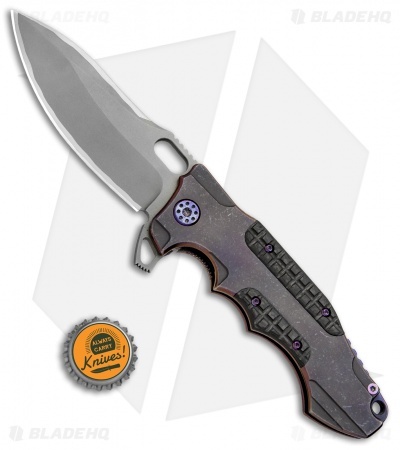 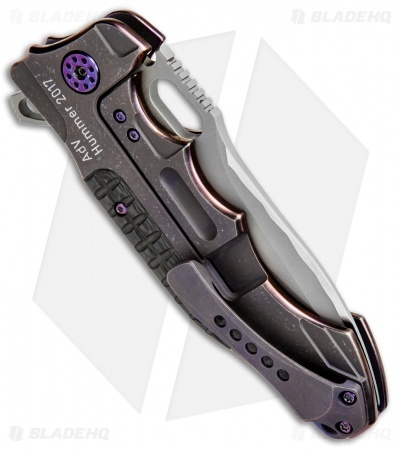 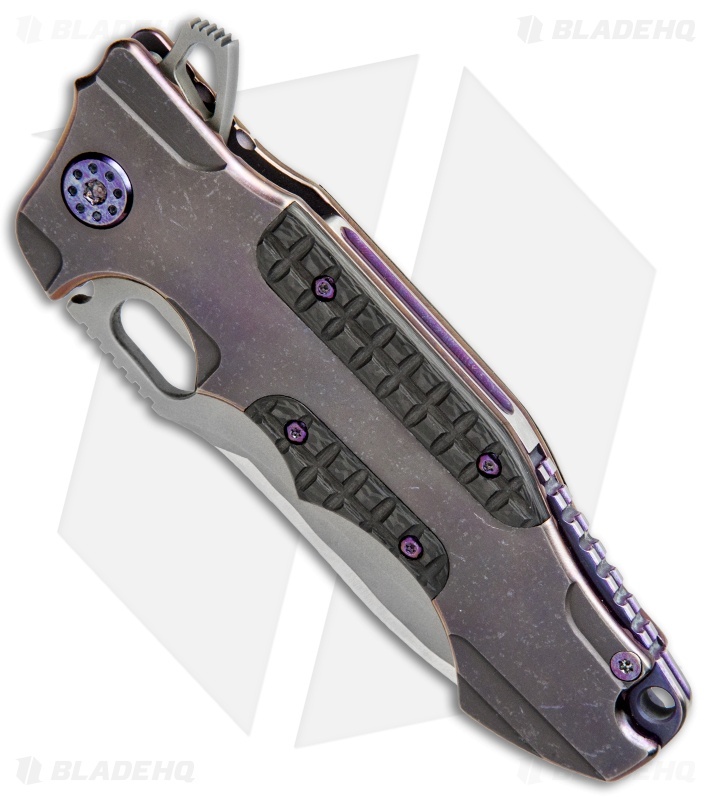 This Hummer model sports a purple titanium handle with carbon fiber inserts and a bead blast Hamon finished blade. Andre de Villiers has a knack for large folders like this Hummer flipper. Big, uber manly and also quite refined, the Hummer is a handful of awesomeness. The blade has a recurved swedge and a long, arced cutting edge. 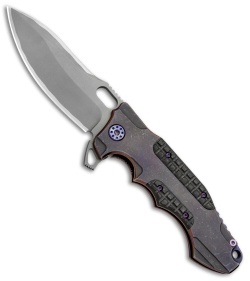 This model features frag pattern carbon fiber inserts, satin hardware, and a bead blast Hamon finished blade. The frame lock is outfitted with a steel tab/overtravel insert and a milled pocket clip for pocket carry.